Why do you need a trial attorney to represent your business? Click here for more. Click here for the updated product recall announcements, product pictures, and official press releases. We represent victims of auto accidents who suffer from serious injuries. Click here for more. In matters where death of a spouse or family member is involved, let our experience work for you. Click here for more. No representation is being made that the quality of legal services is greater than the quality of legal services performed by other lawyers. 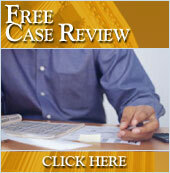 Let the experience of a former state court Judge work for you. McAdory Borg Law Firm, P.C.